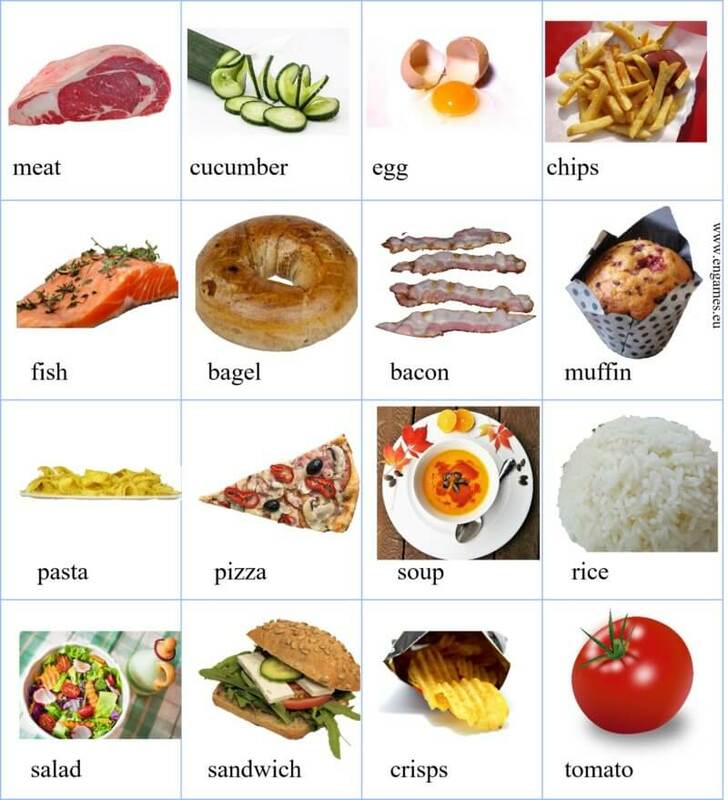 It is vital to learn the words for different kinds of food. If you know the words for different kinds of food, not only you will not die of hunger, but you will be able to choose the food you like. Therefore, it is worth learning these words. In this post, there is a pictionary with sixteen words. Then there is a game called random repeat which helps you learn the words really quickly and effectively. You can then practise the vocabulary in three crosswords, one wordsearch and a sudoku. I hope you will find this post useful. Start learning the words with the following pictionary. Study the words, then cover them, look at the pictures and try to remember the words. The best way I know to learn the new words is called Random Repeat. First, listen and repeat the words. Once the screen turns white, look at the picture and click the right word. To make this method more effective, it is a good idea to say the words aloud while you click. In this part, you can practise the words you learnt in the previous paragraph. The first interactive puzzle is the wordsearch. Your task is to find all the words. Crosswords are another way to practise the vocabulary. There are three crosswords here. Can you solve them all? If you fill in a wrong letter, it will be red. Correct letters are black. And as there are many sudoku lovers, I have prepared vocabulary sudoku for you, too. Fill in the words tomato, pasta, chips, meat, salad, muffin, bacon, soup and crisps in such a way that each word is just once in every line, every column and in every small square.